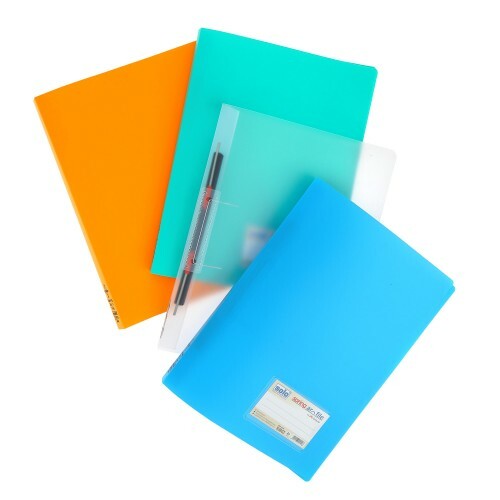 Solo has been an expert in manufacturing office supplies and stationery items widely used by students and business professionals all over. 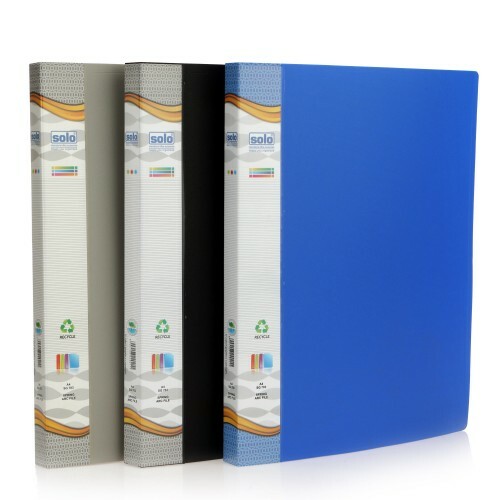 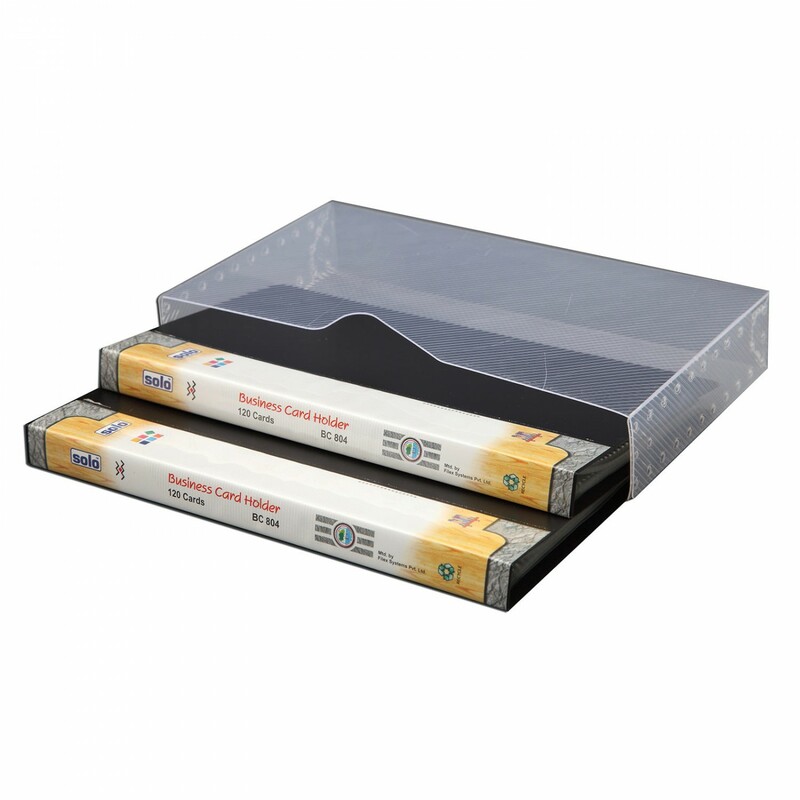 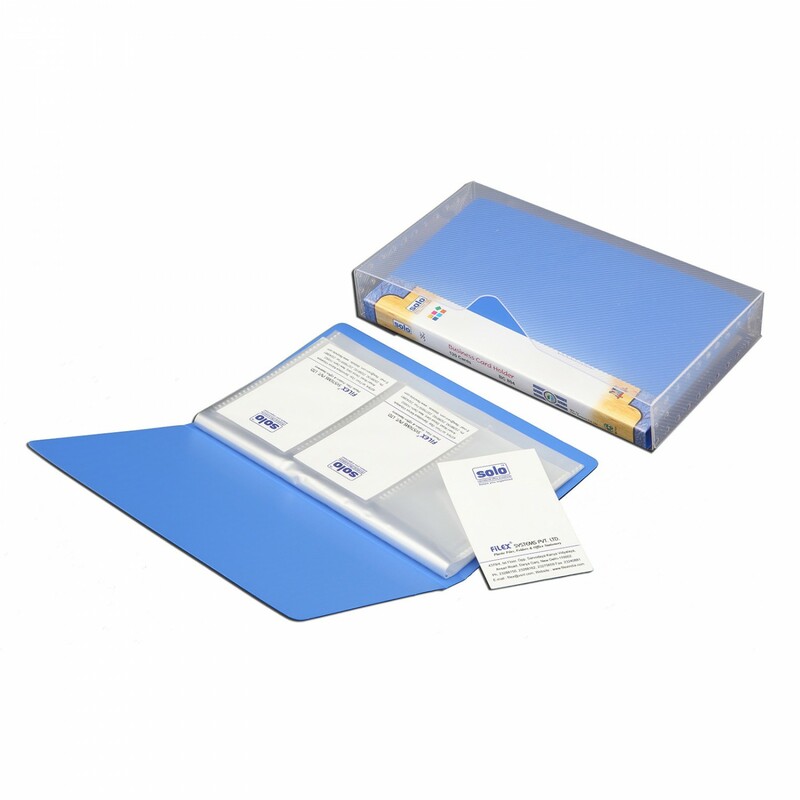 The Solo BC 804 features a set of two folder type card holders, which are capable of holding 2 x 120 cards at one time. 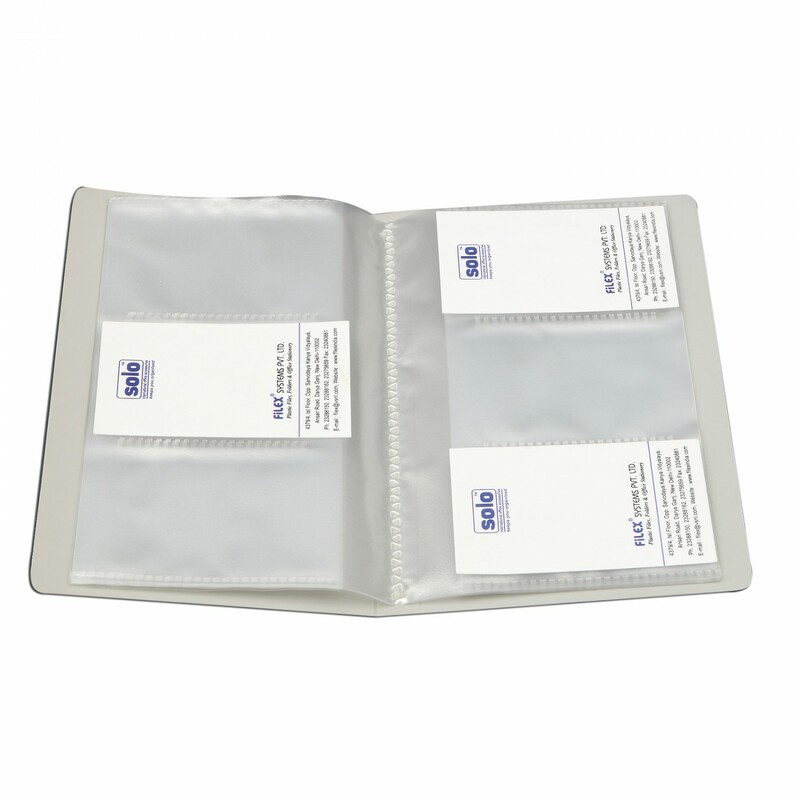 The transparent pockets of this card holder make it easy to see the items kept inside and the Spine Label avoids confusion during identification of the different cards. 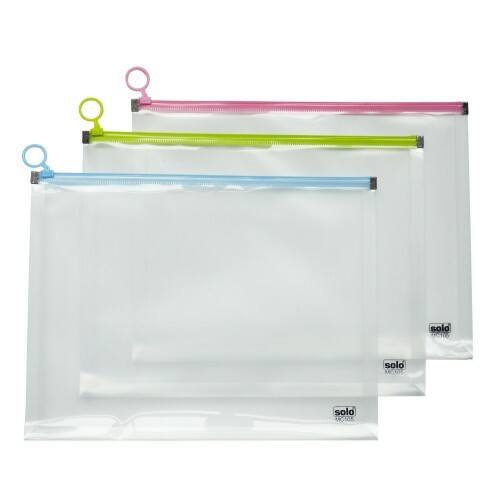 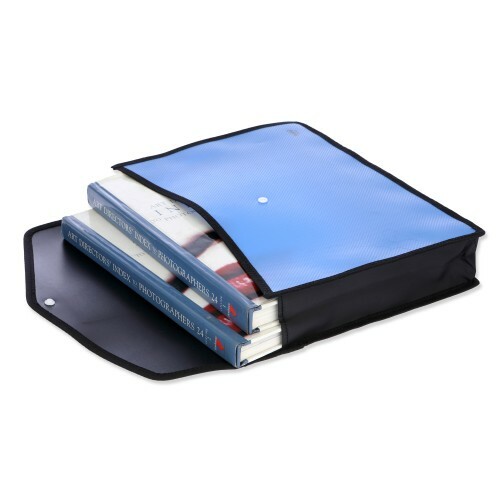 Both the holders are placed in a Slip Case Jacket, which is included. 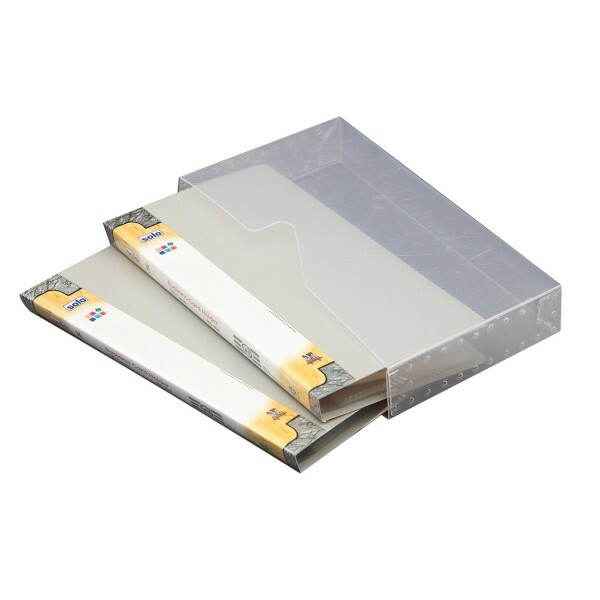 There is zero sticking of the business cards in the lifetime-durable card holder as the welted pockets are ultrasonic and are neatly embossed with anti-static agent. 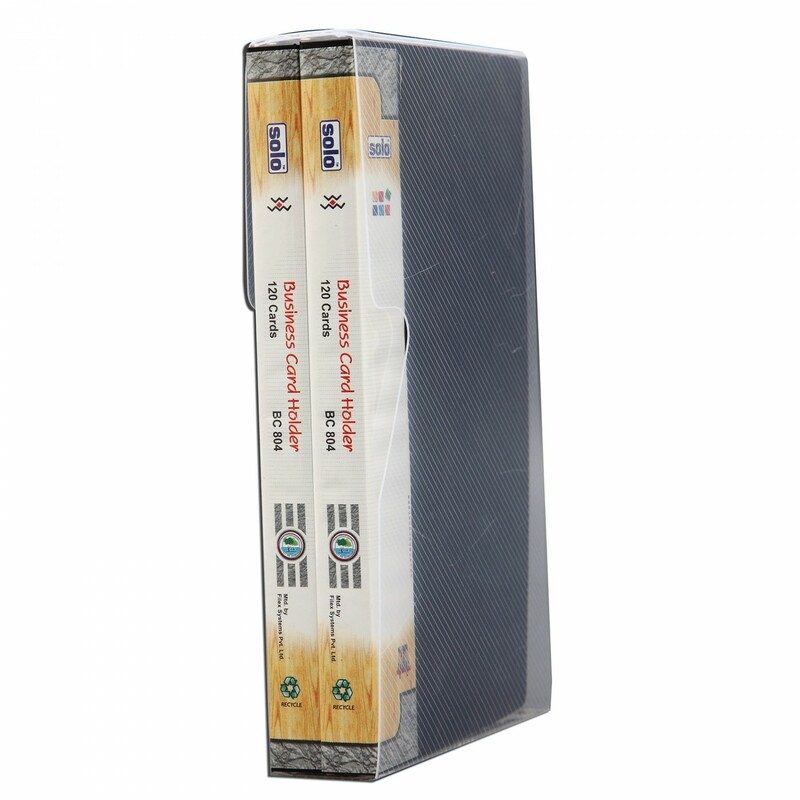 Excellent quality with elite styling. slipcase/ jacket for cardholder included. 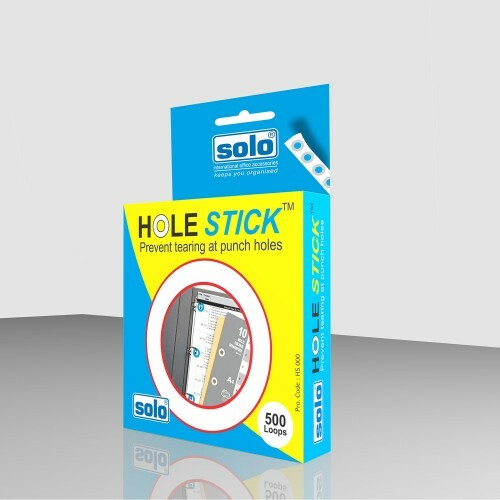 Just pull the tape.convenient and easy to use.sticking on punch holesProduct Code:HS 000MRP:Rs.38.00..
To maintain neat and organized storage of important documents and sheets is very important so that y.. 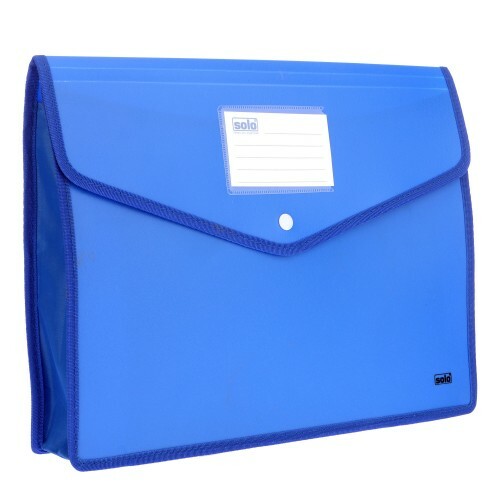 Product Code: RB 702Type: RING BINDERSCompatible Size: A4No of Pieces: Pack of 1 piece.1 Inch RingEx.. 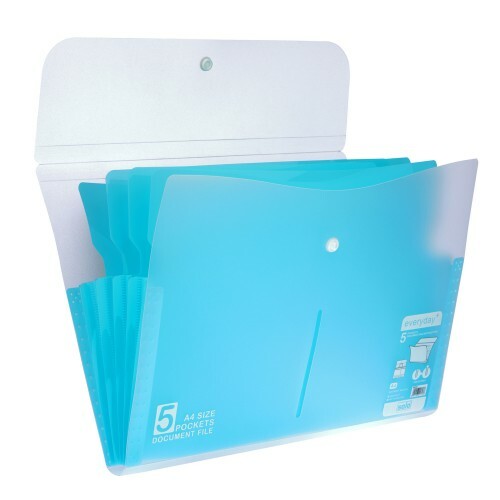 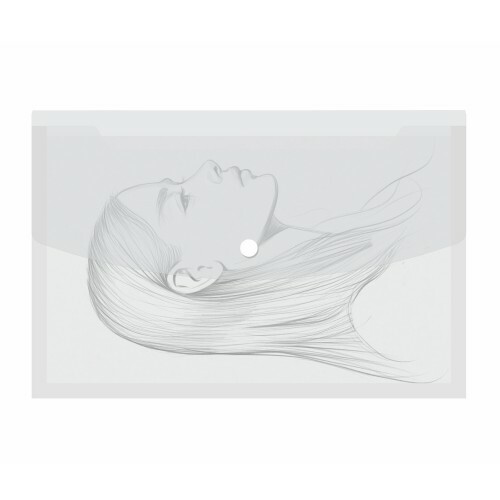 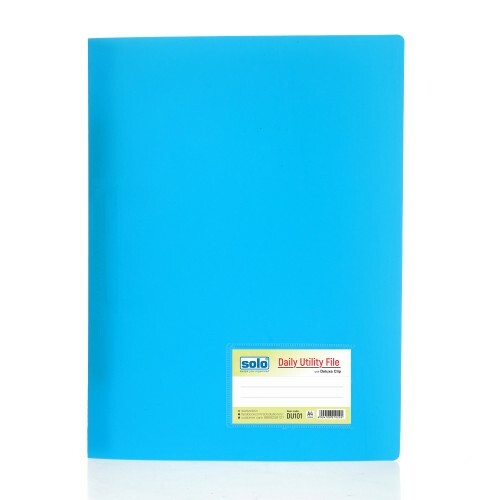 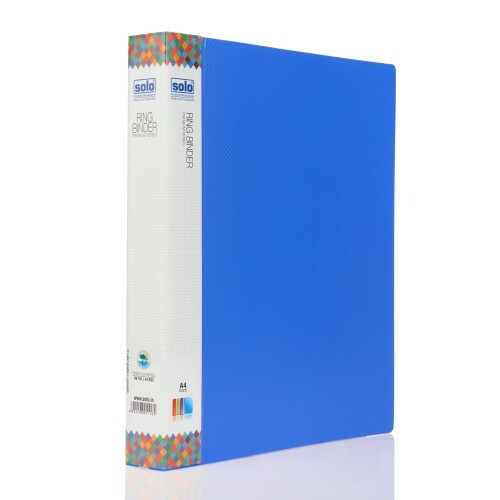 The Solo Secure companion File is an A4 size compatible file, which you can use to carry all yo.. 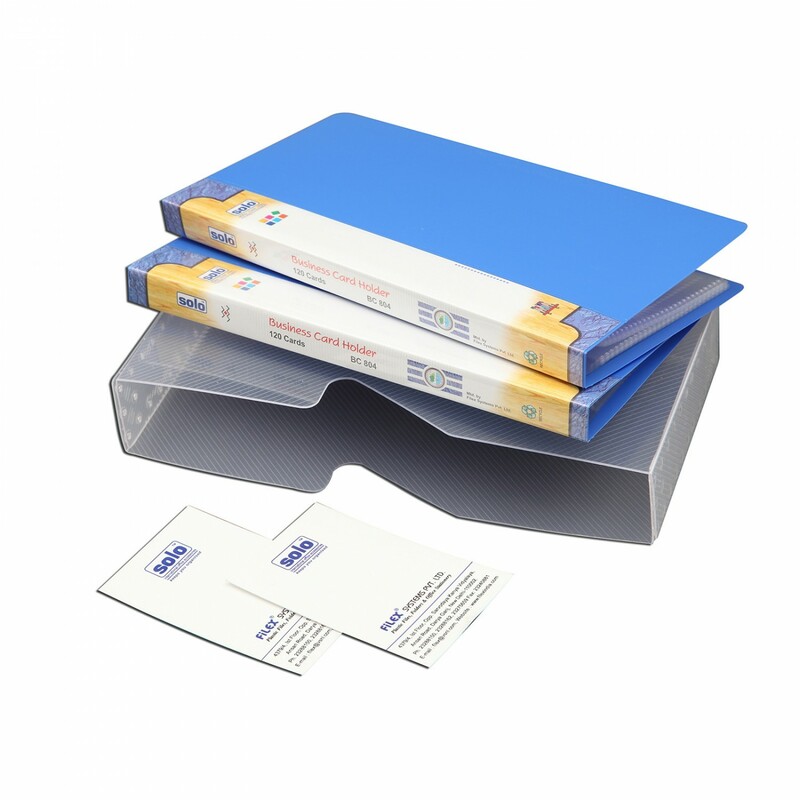 Loose papers & insert Punched holesusage for class notes bundled.Archiving & Filing ClipType..